The Institute for Community Studies (ICS) was set up by social entrepreneur Michael Young in 1954. The ICS was an urban studies think tank which combined academic research and practical social innovation. In 2005, it merged with the Mutual Aid Centre and was renamed The Young Foundation, in honour of its founder. 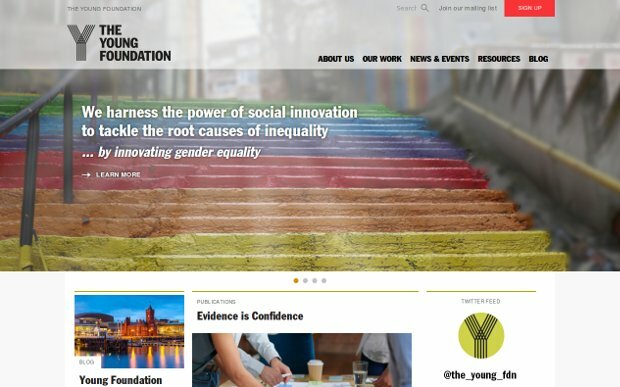 In both current and previous incarnations, The Young Foundation has been instrumental in leading research, driving public debate, and implementing social innovation in the UK and abroad. It has created over 60 organisations, including the Open University, the Consumers’ Association, the Economic and Social Research Council, and the School for Social Entrepreneurs. They believe inequality undermines the economy and corrodes our wellbeing, leaving its mark on communities, relationships, aspirations and self-worth. The Young Foundation is working to create a more equal and just society, where each individual can be fulfilled in their own terms. They work with the public and private sectors and civil society to empower people to lead happier and more meaningful lives.